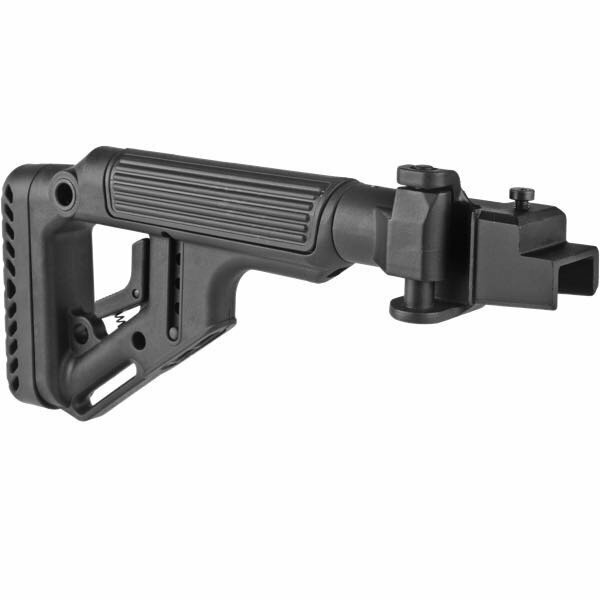 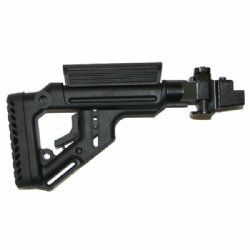 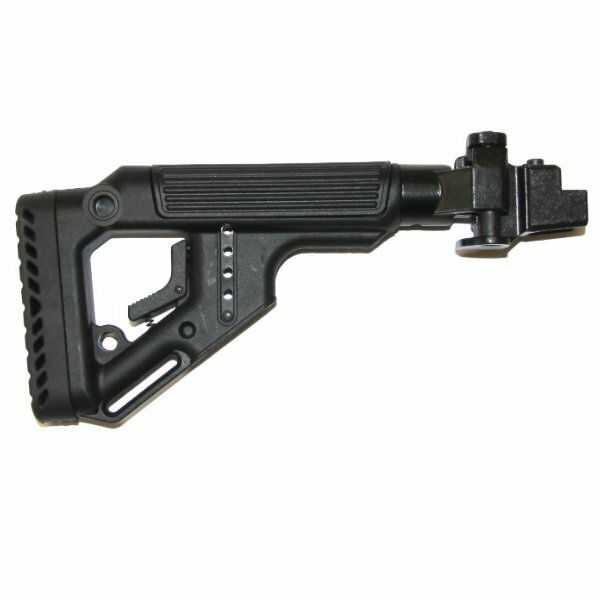 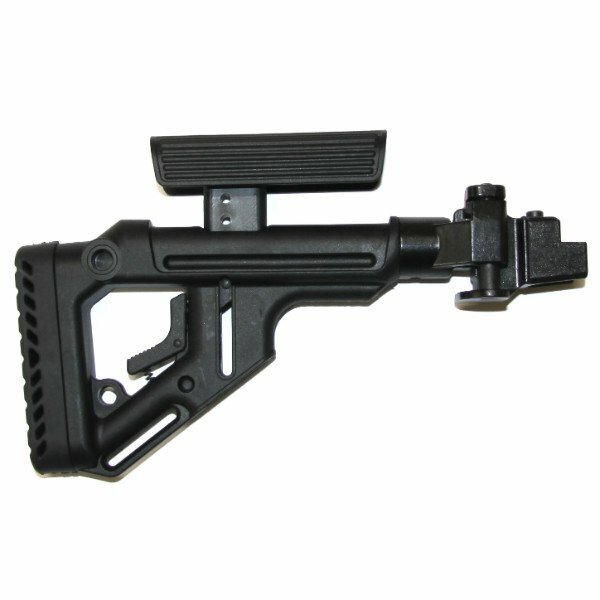 Fab Defense Steel Hinged AK47-AKM Side Folding UAS buttstock. 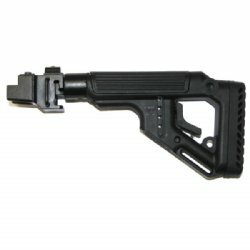 Offering the highest possible tactical flexibility with the strongest folding mechanism available for stamped receiver AK47-AKM style weapons. This is Fab's Rolls Royce edition: Both the mounting block and the Galil folding mechanism are manufactured from Mil-Spec hardened steel. This thing is the ultimate in strength. 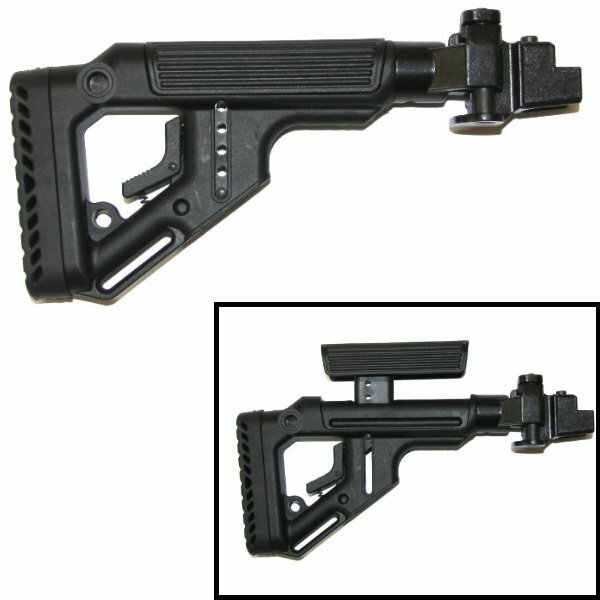 Embedded adjustable cheek piece design provides a perfect solid shooting platform with or without optics. Original GALIL folding mechanism made of Mill-Spec Hardened steel which withstands extreme abuse.